Transformers are required to step up or step down the voltage based on requirement or operation of various electromagnetic devices like relays, contractors, solenoids, or timers etc. They are especially designed or manufactured to accommodate momentum in rush current When components get active with allowing secondary voltage to fall below defined limits. 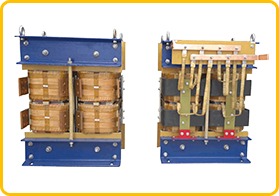 We at Prima Transformers are apex low voltage transformers manufacturer across India and worldwide. Let us review through specifications, features, applications and advantages of low voltage transformers below. We are the trusted manufacturers and exporters of low voltage transformers whose products can be availed at most suitable prices without compromising on quality standards. Some of the highlighting features of our transformer include – highly efficient, cost effective, custom specifications, and environmental friendly. 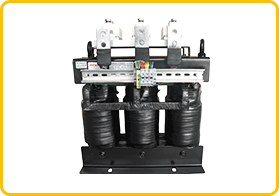 To know more about our products and to get custom solutions for different transformer products, contact expert team at Prima Transformers now.